It’s not new for a game to try and give the look and feel of a movie, but it’s also a formula that often falls flat and fails to impress as a result of ropey scripting, poor animations or feeble gameplay. Very rarely does a film-style video game portray the same levels of excitement and enjoyment that you’d get sat in front of a huge screen at the cinema, but what if you look at these games in a different way? What if you ignore the fact it’s been set up as a film-like experience and treat it more like an interactive novel that’s playing out on the screen? The reason I mention that idea is that a game tends to be much longer than a film, and often isn’t controlled in a way that gets your pulse up with minute by minute excitement. 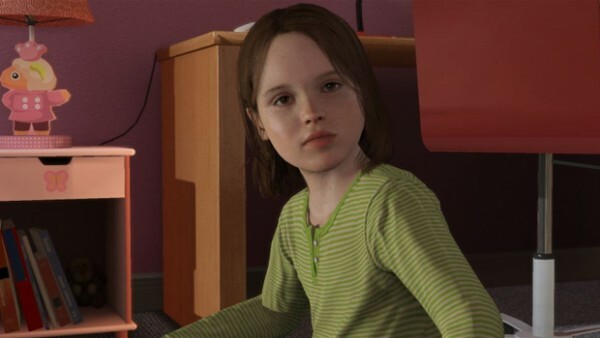 Beyond: Two Souls sits in that exact area, and while the story itself keeps you intrigued and is well written the game doesn’t allow you the excitement of a similarly themed supernatural movie. That’s due in no small measure to the control system that’s used – closely mirroring that of Heavy Rain you’re often presented with QuickTime actions around moving about the place, something which would lead a lot of gamers to automatically switch off and storm out of the room in a huff, cursing the fact that it’s “not a proper game”. But those people will be missing out on something genuinely enjoyable, something that hooks you in and makes you want to see what happens next, even if there are a few hiccups along the way. 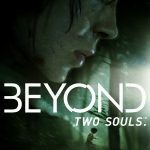 The big news in the lead up to Beyond: Two Soul’s release was the actors who were on board. 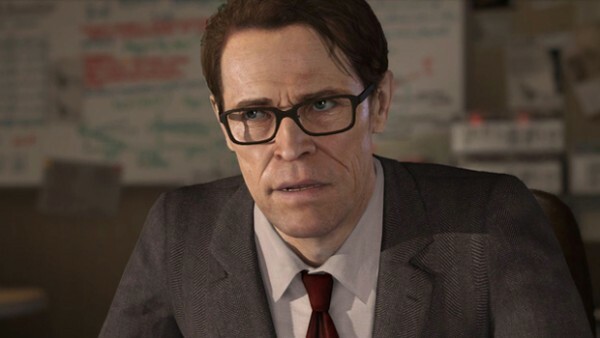 Ellen Page wonderfully stars as Jodie, the main character you use throughout the game, with Willem Dafoe backing up as her long-serving (and long suffering) doctor. They both do the job admirably, although the very nature of Dafoe’s acting means his character appears less dynamic than his female counterpart, but both are captured well and the quality of the voice acting means they’re easily believable throughout the story. Other characters aren’t quite so well screwed together and often look a little lifeless and in need of some looking after, but that’s more a sign of how much the gaming world is ready for the new generation of consoles – the kit we’ve got just isn’t enough any more to keep up with the goals of the developers which, in the case of this, we’re clearly sky high. The story will bring mixed reactions as well. Personally I quite enjoyed it, and with the story jumping around a timeline of Jodie’s life, you’ll be spending time as a teenager, then a young kid, then a slightly older grown up, and so on. It means there are times that seem confusing initially, with no clear indication of why certain events are happening, but that was just part of the draw for me. I found myself wanting to play more, wanting to see how she’d got into the situation she was in, why certain things were happening and how the relationship with Aiden changed during her early life. The very nature of how this works will annoy some, especially those who don’t like spending long periods of time with doubts hanging over the story, but most of them are resolved by the end so with some patience you’ll generally get most questions answered, even if a couple will be left up in the air. There are a couple of other nice touches worthy of note too. If you want a second player to get involved you can do exactly that, with one player taking the role of the spirit Aiden, and the other controlling Jodie. Not only that, but if someone else likes the look of what’s going on and wants to join in having never really played on a PS3 before, there’s a mobile and tablet app which hooks into the game and offers an easier control system without needing to worry about the standard controller settings. It works pretty well, and as a method to get non-gamers involved in a joint journey through the story it’s a very welcome addition. 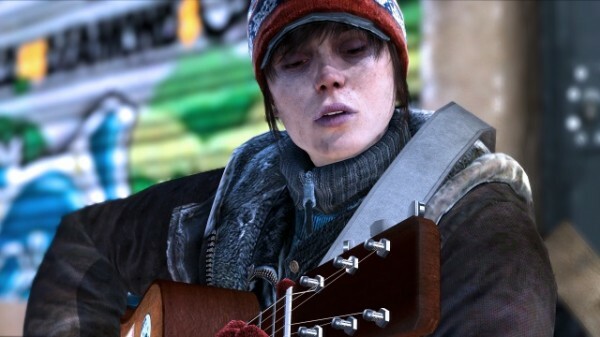 It’s difficult to sum up Beyond Two Souls in a way that will apply to everyone. Your enjoyment on the game itself and the storyline will depend entirely on how you look at it and what you expect. As soon as I started to play it as a novel instead of a film the game felt very different and more like it was doing what it should’ve been, but is this a failing given it was most likely developed to mimic a film? I’m not sure it matters. What might matter more is how little control you have throughout, limited to some wandering round and QuickTime responses to the action, but again if you enjoyed Heavy Rain that won’t bother you either. It’s a flawed, but ultimately enjoyable game which has suffered some very harsh comments from “real” gamers who expected more. Go in with an open mind and you’ll experience several emotional and eye-widening moments which combine to an impressive overall title. Without an open mind, it’s probably best you don’t bother.